Big WIN is NOT big enough? Are you getting tired of a Slot? Say goodbye to boring and old-fashioned Slots! The worlds first, you have never seen it before. Born for Slot fans! A real very BIG WIN! You never find this new slots even in Las Vegas. 3 Slots at once!! 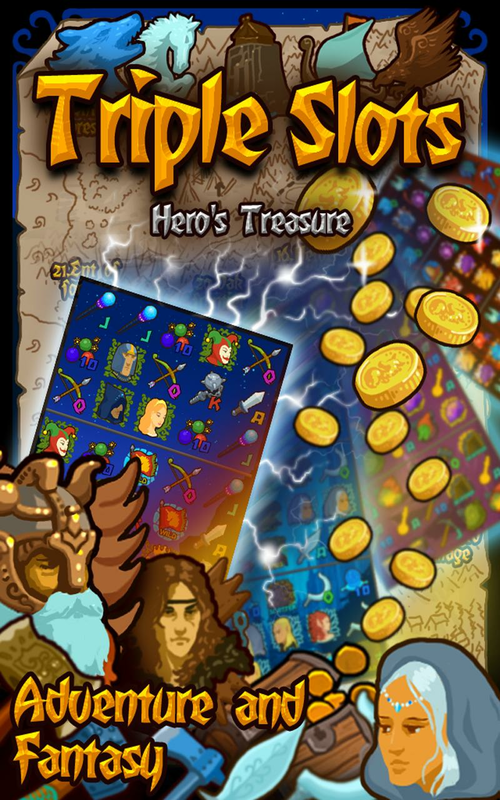 Come and enjoy dynamic and exciting Triple Slots. ★Get 5,000 coins after installation! – You already have a BIG WIN. 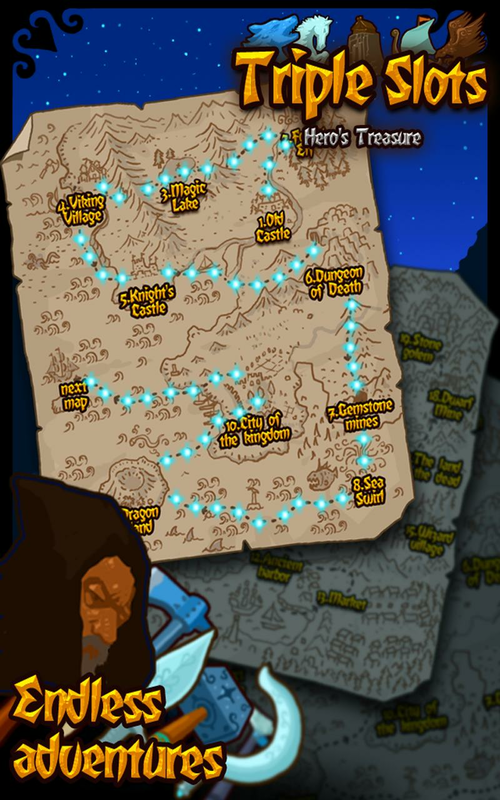 ★Be an expedition to a fantasy world with great graphic and TRIPLE SLOTS. ★Global leader board – Compete with all users around the world. ★Level system – Level up open new Slot, maximize the betting, and get free coins. ★Bonus time for double winnings! – No more playing pesky mini games. The winnings of 1st Slot are moved to Pot of 2nd Slot. 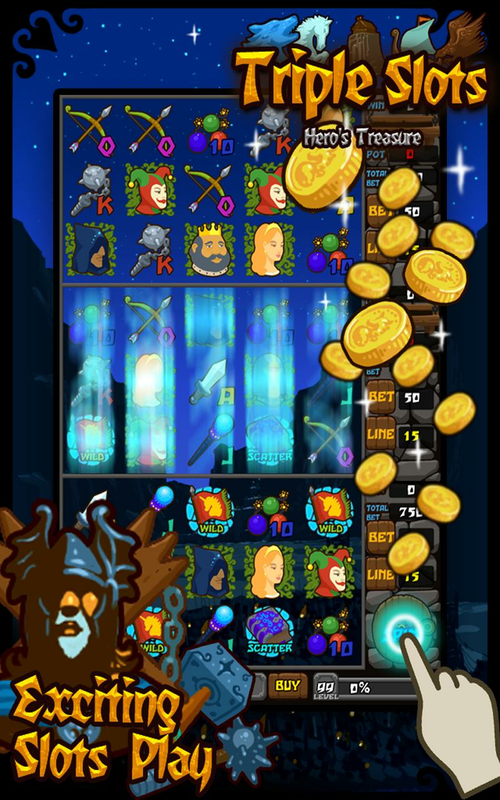 Accumulated coins in Pot of 2nd Slot, activate the reels of 2nd Slot. The winnings of 2nd Slot are moved to Pot of Big Win Slot. Accumulated coins in Pot of Big Win Slot, activate the reels of Big Win Slot. The winnings are multiplied enormously in BIG WIN Slot.